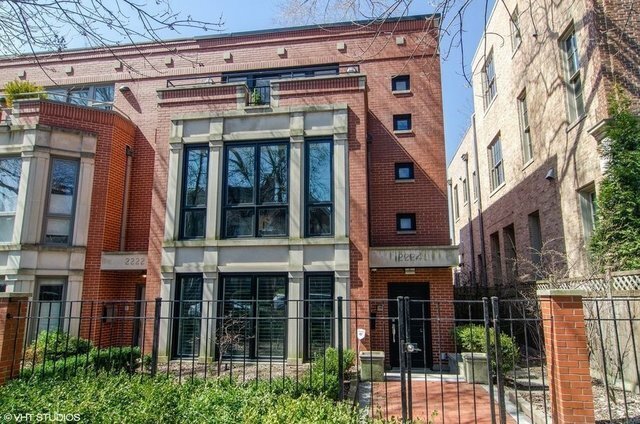 A beautiful DePaul home located in the Oscar Mayer Elementary and Lincoln Park High School District. This beautiful updated extra-wide rowhome features a dramatic three-story skylight atrium. The large formal Living Room and separate Dining Room have hardwood floors. A modern white kitchen showcases stainless steel appliances, granite counter tops, a butler's pantry and walk-in pantry. It opens to a spacious Family Room with custom built-ins and a gas fireplace. Enjoy the private patio, which is perfect for summer nights and entertaining. The staircase has wrought iron railings and leads to the 2nd level and a gracious Master Suite with a walk-in closet and Ensuite bath with a dual vanity and separate shower. An additional bedroom and laundry are located on this level. Two generously sized bedrooms on the 3rd floor with a Jack-and-Jill bath and outdoor space. 2-car garage parking with room for storage. Close to restaurants, shopping and public transportation.